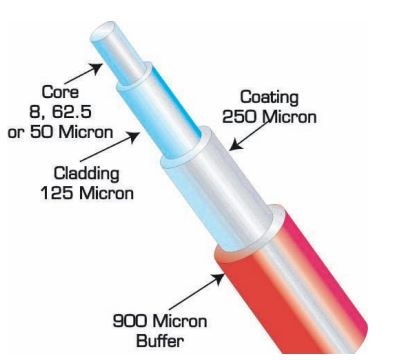 Core- this is the very center of the cable and the light is guided down through by light transmission. The core is a single strand of glass that is measured in microns (µm). The larger the core, the more light the cable can carry.